The Russian Soyuz rocket system has been pressed back into service, five days after a failed launch. The Soyuz lifted away from the Baikonur Cosmodrome in Kazakhstan at 17:09 GMT, ejecting the last of the six Globalstar platforms an hour and 40 minutes later. 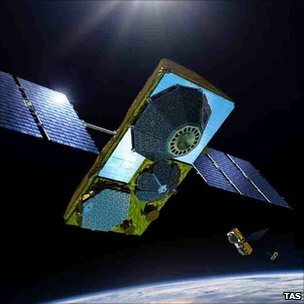 Wednesday’s successful outing will come as a huge relief for Globalstar. Following Wednesday’s flight, Tony Navarra, Globalstar’s president of global operations, was quick to thank the Soyuz team and Arianespace, the French company that markets commercial Soyuz launches through its Starsem subsidiary. “These satellites were flawlessly placed exactly where we needed them so that our ground stations could find them on the very first pass,” he said. Investigations continue into the cause of last Friday’s launch malfunction, which resulted in the loss of a Russian Meridian telecommunications satellite. The rocket failures come on top of the loss of Phobos-Grunt, Russia’s most ambitious planetary mission in decades. It became stuck in Earth orbit after its launch in November and will probably fall back to Earth next month.